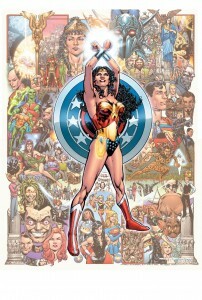 Often cited as the modern day George Pérez for his clean, tight line work and ability to draft elaborate images filled with dozens of unique characters, Phil Jimenez is on a short list of the new generation of artist that revolutionized the industry towards another level of artistic brilliance in the 1990s. Born in 1970 in southern California, Jimenez grew up watching the Super Friends and Wonder Woman and became attracted to comics through Marvel’s adaptation of Star Wars. Despite the title making him a fan of Marvel, Jimenez would then be introduced to, and become a huge fan of, the Marv Wolfman/George Pérez New Teen Titans, Paul Levitz Legion of Super-Heroes, Marv Wolfman/George Pérez Crisis on Infinite Earths, and George Pérez Wonder Woman. Discovering a skill in drawing and considering his love for comics he had developed, Jimenez decided to take a risk and move to New York to attend Manhattan’s School of Visual Arts. Unfortunately, due to lack of funds, Jimenez could not finish his education and was forced to drop out. Submitting samples of his artwork to DC Comics, Jimenez was given his first assignment at the publisher three weeks after leaving SVA by creative director Neal Pozner. A well known member of the gay community, Pozner began working at DC in 1977 where he became a trailblazing production designer who helped re-imagine Aquaman following the Crisis shake-up and discovered artists like Travis Charest, Gene Ha, Stuart Immonen, and, of course, Jimenez. Inking part of the fourth issue of George Pérez’ War of the Gods limited series, Jimenez would shortly go on to draw a two-part story for Len Wein starring Cyborg in Showcase ’93. 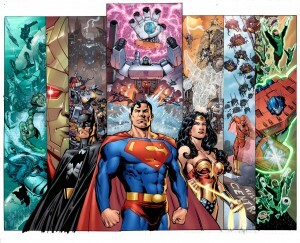 The opportunity got Phil Jimenez’ foot in the door who would do work on several books including Deathstroke the Terminator, Aquaman, Lobo, New Titans, Robin, Showcase ’94, Guy Gardner: Warrior, Swamp Thing, Hawkman, Showcase ’95, Justice League International, Legion of Super-Heroes, and Justice League Quarterly. The while, Jimenez made the decision to ask out his friend and mentor Neal Pozner. Serving as his boss and editor who had given him his chance to work in comics, Jimenez had been smitten with Pozner since they first met despite Pozner being Jimenez’ senior by fifteen years. Pozner would agree and the two began their relationship with Jimenez’ partner helping him become a better artist and find the courage to be openly gay. 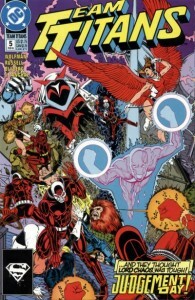 In 1993, Jimenez would be given the opportunity to co-write and draw a new series in Team Titans. Inspired by Grant Morrison’s work on Animal Man and Doom Patrol, Jimenez and writer Jeff Jensen took over the title from Marv Wolfman starring a group of resistance fighters from Earth’s future where they battled Donna Troy’s son Robert who rules Earth as Lord Chaos (leading the group to travel to the past and kill Troy to prevent their future). Allowing Troy to live without super powers, thus preventing the ascension of Robert into a god, the Team Titans were stuck in the past and have to deal with integrating into an entirely new culture. The project proved to be a nightmare for Jimenez as he claims his editor lied to him about allowing their Morrison inspired offbeat work, instead forcing the pair to produce a book more in line with Rob Liefeld’s X-Force (Jimenez was instructed his concepts were approved with no intent to follow through just to get his name and talent on the book). Jimenez worked on the book as sales dipped and halfway into a five year arc he had planned with Jensen he was told it would be canceled as part of Zero Hour: Crisis in Time. Furious, Jimenez only drew another two issues of the title and finished his writing duties trying to wrap it up before the event. 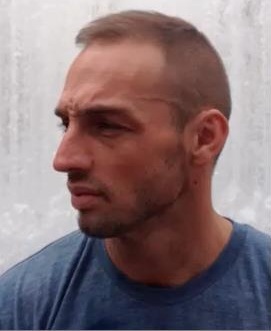 While Phil Jimenez was trying to cope with the trouble inherited with Team Titans, his partner Neal Pozner, who was HIV-positive when he began dating Jimenez, grew ill and passed away in 1994 from the disease. Jimenez would write and draw a mini-series for Aquaman’s former sidekick Aqualad, now going by the name Tempest, in a self-titled book featuring the hero in a costume similar to the one Pozner designed for Aquaman in his revision for the character. In the final issue, Jimenez wrote a tribute to Pozner dedicating the series to his memory and came out to the world as a gay man. The creator was surprised by the response to the issue, receiving over 150 letters including one from Iowa where the letter’s author couldn’t believe there were other gay people out in the world like him. It would be Jimenez’ next work that began to largely gain the interest of the comic book world. 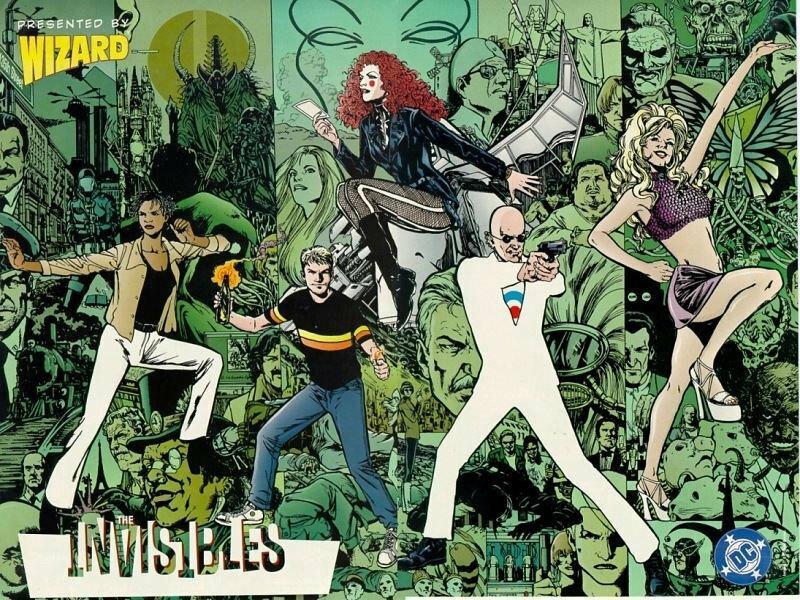 The Invisibles was a team book created by Grant Morrison for DC Comics’ mature Vertigo imprint featuring the Invisible College, a clandestine organization resisting physical and psychic oppression, and starred a team led by King Mob (who was patterned in part after Morrison himself). Phil Jimenez would draw three issues of the original run but became the ongoing artist for the second volume to critical acclaim. Wizard Magazine would cite Jimenez as an up-and-coming artist who was comics’ best kept secret and should be drawing superhero comics. His work would also become nominated for a GLAAD award and an Eisner award (around this time Jimenez would be signed to an exclusive three-year contract to DC Comics). 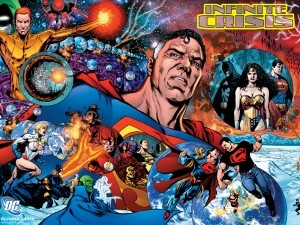 Fans would get their wish to see Jimenez return to superheroes when he teamed with writer Devin Grayson to produce the limited series JLA/Titans under the provision he would get to draw every member to ever grace the Teen Titans group (following George Pérez being given the opportunity to draw every Avenger in the pages of that title’s book prompting Jimenez to try and make their series as big as possible). The series would lead to Grayson’s The Titans series and Jimenez would go on to live out a lifelong dream. When John Byrne was wrapping up his run on Wonder Woman, he had wanted Phil Jimenez to adopt the book after him (so far as to call Jimenez up to ask him if he was interested). Growing up watching the television series and greatly admiring Pérez’ run, Jimenez was hesitant to take the job when he learned the company was only interested in him as the title’s artist. After speaking with Eric Luke, the writer who would takeover the title, Jimenez decided it wasn’t a good fit for him. When Luke left the series, it was decided to let Jimenez both write and draw the book for a one year run beginning in 2000 (where his run coincided with Wonder Woman’s 60th anniversary). 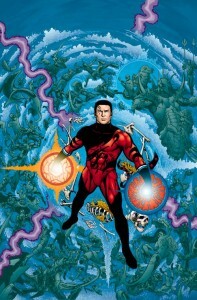 Again, Jimenez was a fan of the Pérez run but took issue with elements of the contributions of the William Messner-Loebs and Luke runs leading to the creator largely adopting elements of the Pérez and Byrne years for his interpretation (though, Jimenez made ample use of the Artemis character Messner-Loebs created). Jimenez’ run would include Wonder Woman dealing with the loss of her mother, finding love with Trevor Barnes, and surprise fans when his series took its own shape rather than simply pick up with what Pérez created and run with it. 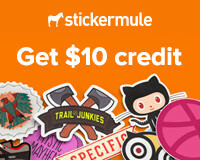 Along with writers J.M. DeMatteis, Joe Kelly, George Pérez, and Devin Grayson, Jimenez took Wonder Woman and her cast to Gotham to battle enhanced versions of Batman’s rogues, battle civil war on Themyscira (where Wonder Woman and her mother denounce the throne as Artemis and Philippus share the reins of co-rulers), see one of the heroine’s best friends turned into a new, dire enemy, Circe turn the Earth’s male heroes into animals and assemble its villainesses, the modern emergence of Villainy Inc as they plot to conquer Skartaris, take Wonder Woman to the past to battle alongside her mother in World War II, and the return of the Cheetah. The run proved to be a hit as Jimenez’ one year stint was turned instead into a two year run before the title was handed over to Greg Rucka. Jimenez would move on to craft the creator-owned project Otherworld for Vertigo and to write for DC Special: The Return of Donna Troy teaming with legendary artist José Luis García-López seeing the resurrection of the Wonder Woman supporting character from the dead. Returning as the new Harbinger, Troy teamed with the Teen Titans and Outsiders and became entrusted with the world of New Cronus and Universe Orb chronicling the history of the multiverse necessary for her role in the coming Crisis. 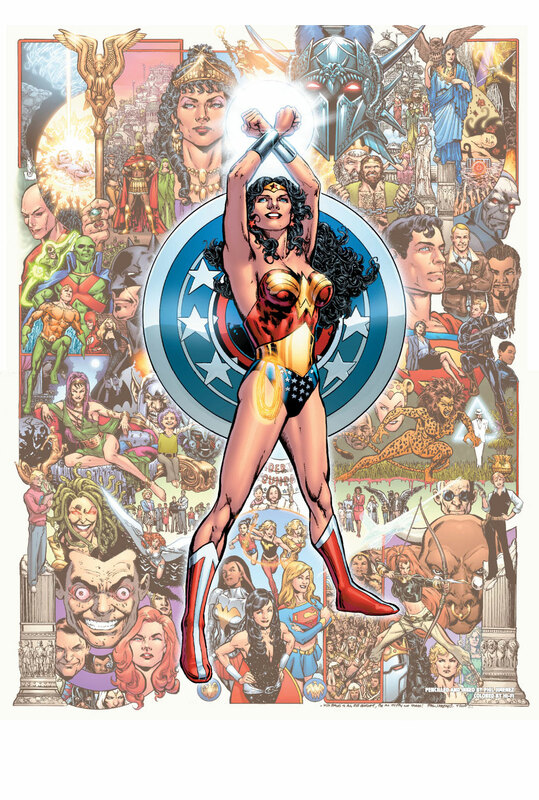 The comparison between Phil Jimenez and George Pérez has often been made in the career of the former and where Pérez is arguably best remembered for his work on New Teen Titans, Wonder Woman, and Crisis on Infinite Earths, Jimenez had tackled the Titans and Wonder Woman, he would then get his shot at the latter. 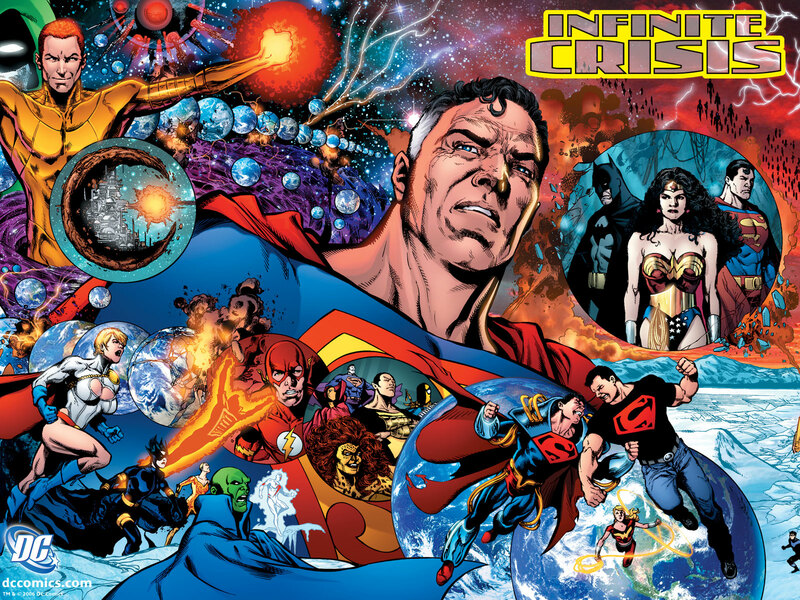 In 2005, writer Geoff Johns would produce a sequel to Crisis entitled Infinite Crisis with Jimenez brought on as the main penciller. When the Earth-Two Superman and Lois Lane, Earth-Prime Superboy, and Earth-Three Alexander Luthor battled the Anti-Monitor and tucked themselves away so the universe could heal itself, they thought they left the universe a better place. Instead, they observed a generation of heroes they felt dishonored the memory and betrayed the sacrifice of those heroes that came before. Luthor and Superboy formed a plan to create the Earth that should have been following Crisis by recreating the multiverse and picking and choosing components to make a perfect Earth and discard the remnants. The end result was the post-Crisis Earth generally with some Silver Age elements restored. 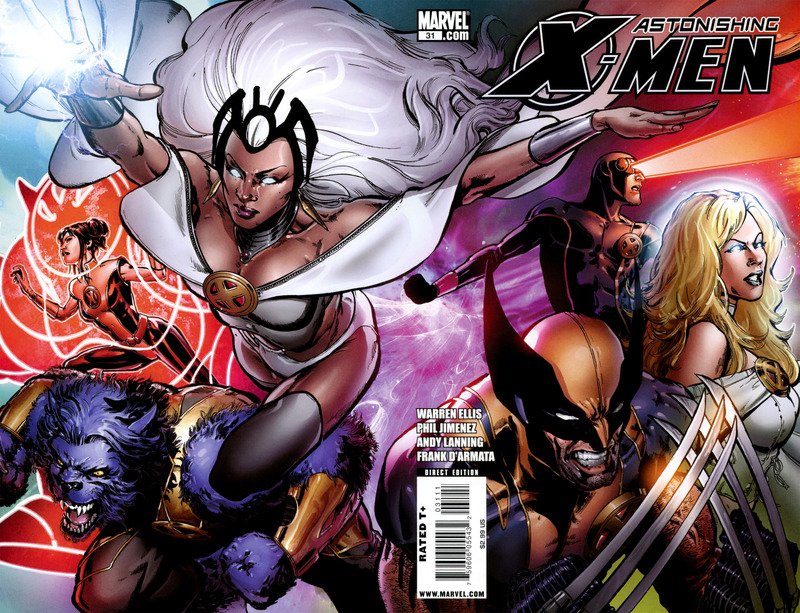 In 2001, DC Comics mainstay Grant Morrison would largely make the move to Marvel by revamping the X-Men into the new series New X-Men (as well as would work on other projects like Marvel Boy and Fantastic Four: 1234). Morrison would again collaborate with Phil Jimenez when the artist was brought on to work on New X-Men for several issues. 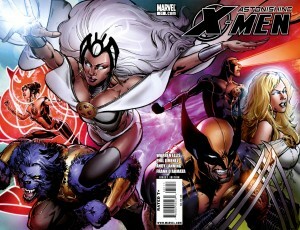 Jimenez had an abominable past history with the X-Men when he worked on X-Men: Liberators. Verbally agreeing with an editor to work on the book, which was a three-issue mini-series, the title was dropped and Jimenez had went to work on other projects. In the midst of doing JLA/Titans, the artist was called up to crank out the book immediately which had grown to four issues. Along with Team Titans, it was one of Jimenez’ most regrettable projects. His experience on New X-Men, however, must have been favorable as the creator was signed to an exclusive contract at Marvel in 2007 where he contributed to the controversial Spider-Man events One More Day and Brand New Day and became a frequent artist on Marvel’s flagship title The Amazing Spider-Man. Following this, he would draw an arc of Warren Ellis’ Astonishing X-Men (the pair previously collaborated on Planetary/The Authority: Ruling the World and an issue of Hellblazer called “Shoot” that long went unreleased due to the Columbine tragedy but later came out under Vertigo Resurrected). 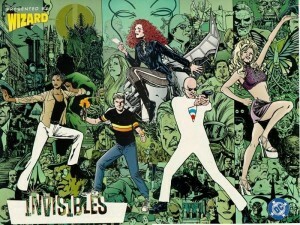 In 2011, Jimenez would return to DC Comics under an exclusive contract drawing the Legion of Super-Heroes in Adventure Comics and the Fables spin-off Fairest. 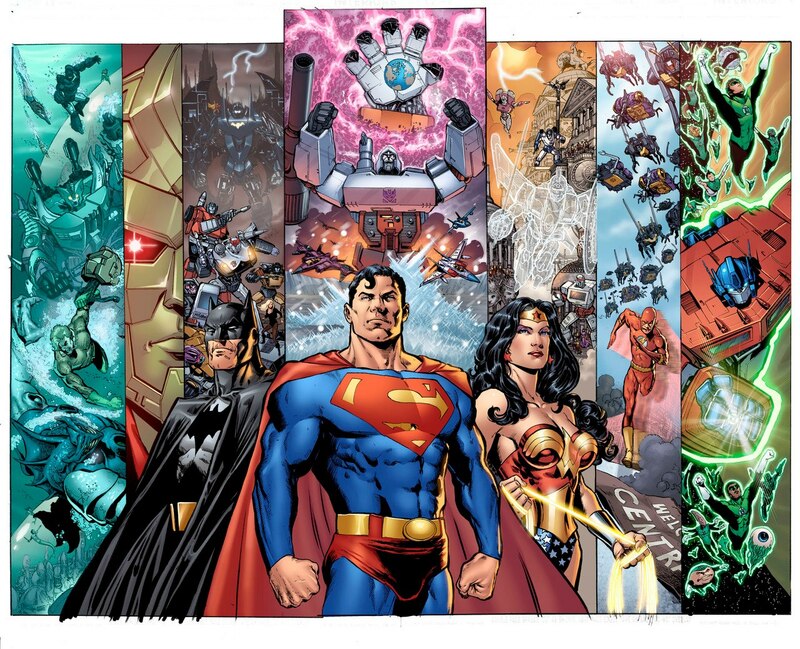 Recently, it had come to light Jimenez had worked on a crossover with DC and IDW Publishing for JLA/Transformers that eventually fell through that would’ve included a Bruticus-like combiner of the various Bat-vehicles, an Invisible Jet Transformer (equipped with a sword and shield), and Optimus Prime wielding a Green Lantern power ring alongside the Green Lantern Corps. In recent years, Jimenez has become quite known for producing covers for comic books, doing so for such titles as Wolverine: The Best There Is, Before Watchmen: Ozymandias, Star Trek/Legion of Super-Heroes, Alpha Flight, Captain America Corps, Nation X, and Models, Inc. (depicting real life fashion designer Tim Gunn). A cover that gained Jimenez national attention was depicting POTUS Barack Obama on the front of Amazing Spider-Man. The artist would also gain some measure of fame via Spider-Man in the 2002 Spider-Man film as Peter Parker’s hands when he was sketching costumes to begin his superhero career.